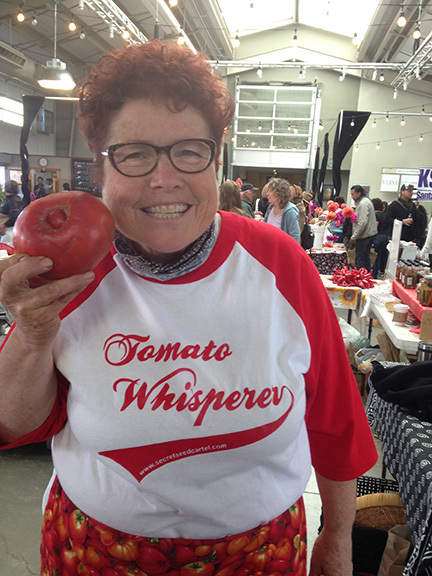 So now that I have the rest of the vegetables reviewed, I want to review my most favorite vegetable in 2012-TOMATOES!! There were many I would keep BUT also a LOT I would dump! 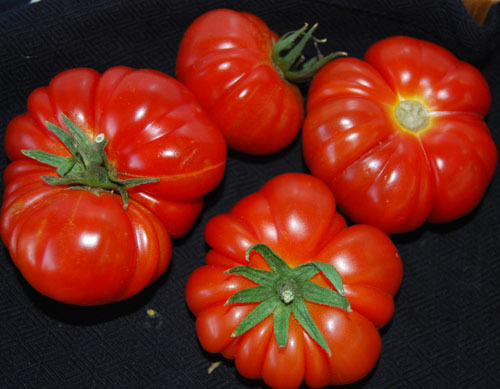 -Big Zacs-huge tomato-huge taste! A favorite! -Virginia Sweet-super super sweet-the sweetest of all tomatoes I grow! One of my favorites! 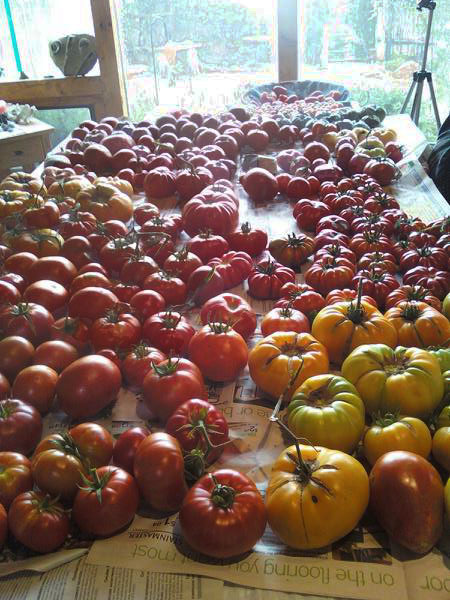 This entry was posted in 'THE TOMATO LADY', general, TOMATOES, VEGETABLES and tagged 2012 tomatoes review, Cherokee Purple, growing tomatoes, Italian American, Paul Robeson, tomatoes, vegetable gardening. Thanks, Jannine, for your generosity in sharing…Your information is always valuable. Beautiful Toms in the picture at the top! I’ll take a vase full of tomatoes over flowers any day!